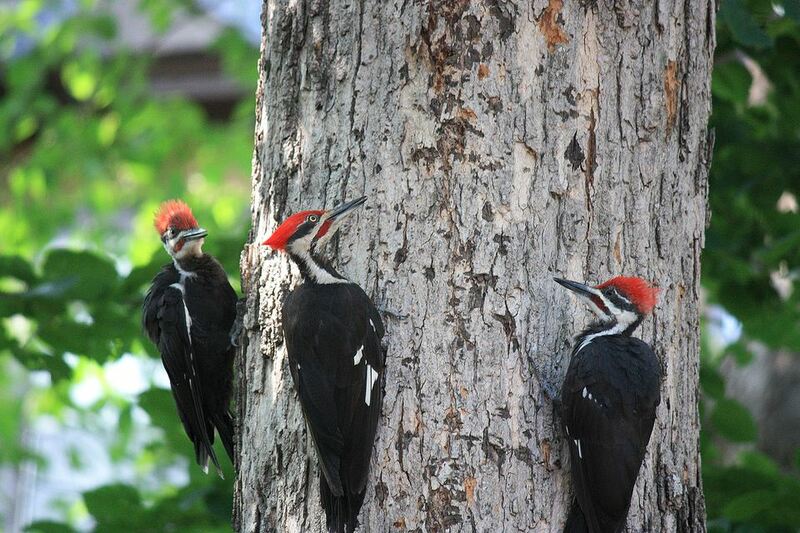 What Makes Little Holes in Trees: Woodpeckers or Borers? I Have Little Holes in a Circular Pattern Around My Tree. What Are They? Pileated Woodpeckers use their long, sharp bills to excavate rectangular holes in trees as they hunt for ants other insects. "My tree has little shallow holes all around it in several areas, about pencil-eraser depth. They are in a circular pattern for the most part. Any ideas?" If by a “circular pattern” you mean the small holes in your tree seem to encircle the trunk, and if those holes are evenly spaced (as if in a pattern, as opposed to scattered all over, helter-skelter), a woodpecker may be responsible. And if a woodpecker is, indeed, the culprit, you don’t need to take any action — it should be fine. Otherwise, I’d say “borers” — and recommend insecticide. What Is a Shrub Topiary?